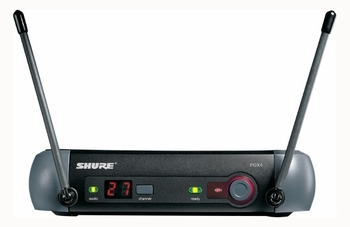 Shure PGX4 Diversity Receiver w/ PS20 Power Supply DJParts - All Variety of Parts that DJ Needs. Shures PGX4 receiver makes wireless setup a snap. 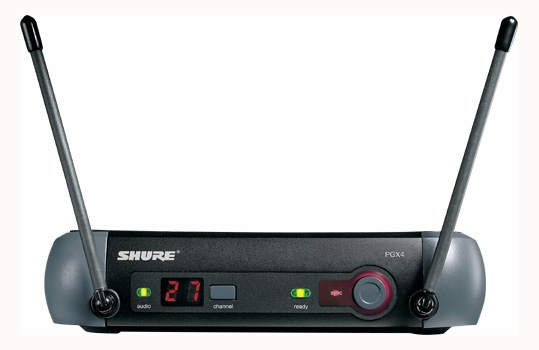 With features like Automatic Frequency Selection and Automatic Transmitter Setup, the PGX4 offers the best in wireless to performers on the go. For use with PGX Wireless Systems.